The new role of Clergy Development and Lay Training Officer combines two previously separate roles. It will make a significant contribution to the Diocesan goals in order to facilitate an integrated approach to resourcing clergy and lay people in the Ripon Episcopal Area. The new role is an outworking of the ‘clergy and lay together’ principle of the Diocesan Strategy. This is a collaborative role, involving membership of several related teams: the Ministry and Mission team, which includes the Diocesan Lay Training Team and the Diocesan Clergy Development Team, along with the Ripon Episcopal Area Team. It also involves working closely with parishes, benefices and deaneries throughout the Ripon Episcopal Area, with training delivered in dispersed learning hubs. Housing will be provided in the Ripon Episcopal Area for this role. b) Lay discipleship and ministry. Be part of a team to plan and develop appropriate programmes of training for curates and their training incumbents. Participate in the review processes for curates in the episcopal area, both strategically and pastorally and work with the Director of Clergy Development to ensure curates pursue appropriate training pathways. Provide regular pastoral support for curates and training incumbents and assist the area bishop if relationships between incumbent and curate become problematic. Work with the Director of Clergy Development to arrange appropriate supervision for the curate if the parish becomes vacant or the incumbent is sick. Prepare curates for the next phase of ministry including the provision of interview skills training, job search and applications. Work with colleagues to provide an inspiring and imaginative training programme for clergy, who are at various stages of ministry, which contributes to the diocesan vision of Confident Christians, Growing churches, Transforming Communities and furthers diocesan strategic goals. Enable clergy to respond to their individual outcomes following their MDR. Meet with clergy to discuss sabbatical applications, providing advice, support and guidance. Empower Area Deans to enable chapter meetings to offer some CMD opportunities. Provide joint training courses across the region, eg pre-retirement courses, area deans training. Work with colleagues to identify and prioritise training needs for lay people, developing a coordinated programme of training to further the diocesan vision of Confident Christians, Growing churches, Transforming Communities and diocesan strategic goals. Collaborate with programmes such as Leading your Church into Growth, Messy Church, Youth and Children’s initiatives, Safeguarding, Unconscious bias, Fresh Expressions to provide an integrated approach to learning and training. Contribute to the training of Readers, including CMD. Keep abreast of current and emerging thinking and developments in the theology and practice of discipleship, mission and ministry, including national initiatives linked to the Reform and Renewal programme, such as Setting God’s People Free. Oversee the initial training programme for Spiritual Directors in the Diocese of Leeds, in collaboration with the Diocesan Prayer and Spirituality Team. Make optimal use of the Diocesan Digital Learning Platform for courses, resources and events, on-line learning and for developing learning communities. Provide training in shared leadership for laity and clergy. Promote ecumenical and other relevant learning opportunities beyond the diocese. A good working knowledge of the Church of England at parish, deanery and diocesan levels. A depth of ministerial experience from which to draw when leading IME and CMD sessions. Demonstrable experience of planning and leading teaching sessions /courses at parish level or beyond. Experience in organising and facilitating group work. Experience working in rural communities to enable the development of ministry that can flourish in rural areas. Proven track record of enabling leadership which grows the confidence and gifts of God’s people. Experience of working with various educational levels and styles in the planning and delivery of training, sensitive to the aptitudes of individuals and their different ways of learning. Evidence of having formed effective working relationships with a diverse range of people and with a range of internal and external partners. Experience of teaching and supervising on university-validated programmes (desirable). Experience of, or the ability to engage with, virtual learning programmes. The ability to attend meetings across the area and diocese. Knowledge/understanding of changing patterns of mission and ministry in the Church, along with the varied approaches to nurturing lay discipleship. 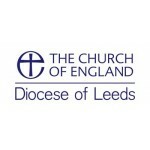 The Diocese of Leeds came into existence at Easter 2014 following the dissolution of the former dioceses of Bradford, Ripon & Leeds, and Wakefield. It covers the whole of West Yorkshire and the western part of North Yorkshire, split into five episcopal areas. It contains a rich variety of contexts, including post-industrial towns, rural areas, city centres and multi-religious communities. The Ripon Episcopal Area is predominantly rural, covering much of the Yorkshire Dales. It includes multi-parish benefices, pioneering expressions of church and diverse forms of lay ministry.